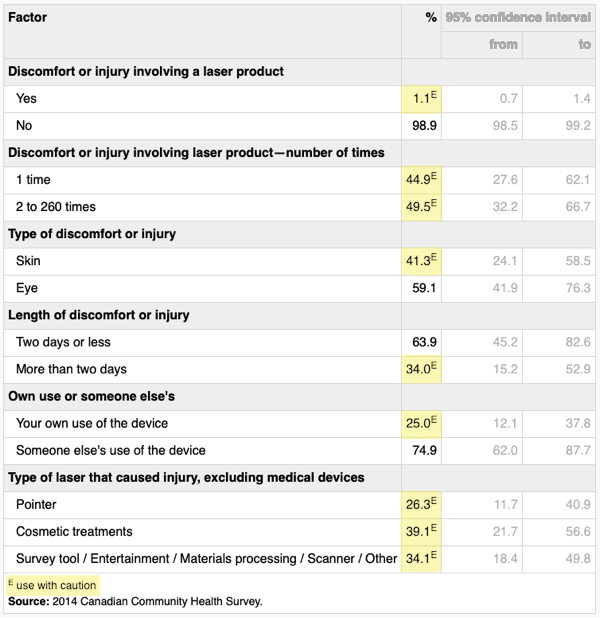 The Statistics Canada study analyzed published eye injury case reports since 1999, and concluded "the majority involved the misuse of a handheld battery-operated laser product by an adult or a child. 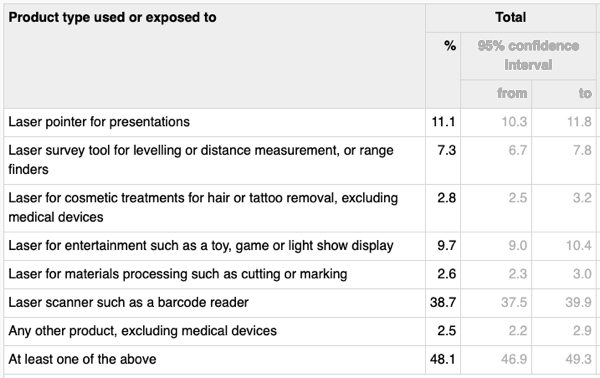 Most of these injuries were the result of irresponsible use or deliberate staring at a laser by a child, or the result of the inappropriate use of a high-powered laser device (Class 3B or 4) in an 'uncontrolled environment'....In the cases reported in 2014 that included long-term follow-up injury reporting, about one-half of the ocular injuries resolved within one to two weeks, with the other 50% of patients sustaining longer-term visual impairments." Table 2 in the Statistics Canada study also breaks down these items by Males and Females. For this presentation, we have just shown the Totals data (males + females).